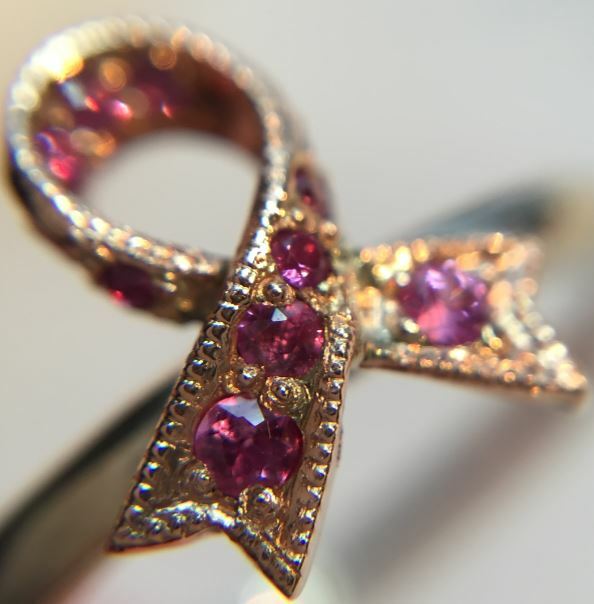 The universal symbol for breast cancer, the pink ribbon, comes to life in rose gold and pink sapphires. With delicate milgrain and feminine curves, this ring represents hope. The ribbon measures 10 millimeters top to bottom. Interior of the band is engravable. 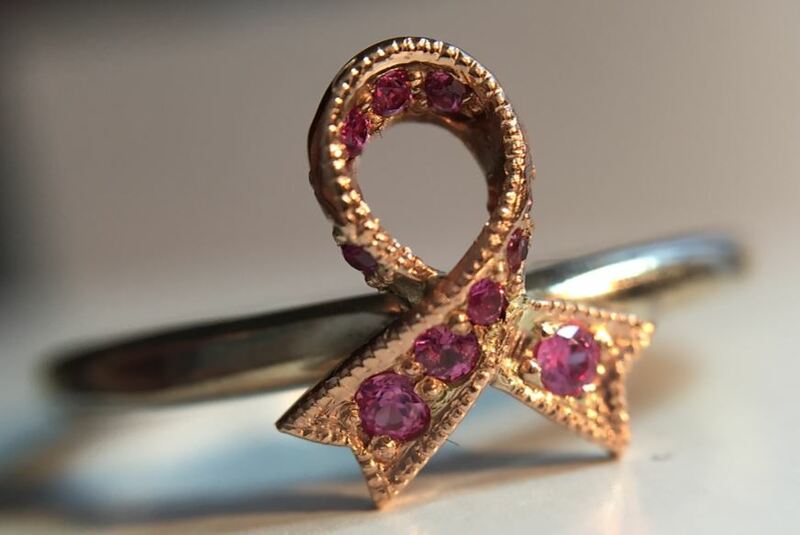 This ring was originally designed in memory of my mother who passed away from complications of breast cancer in 2008. After she was originally diagnosed in 2000, I was lucky to have 7 and a half more years with her. 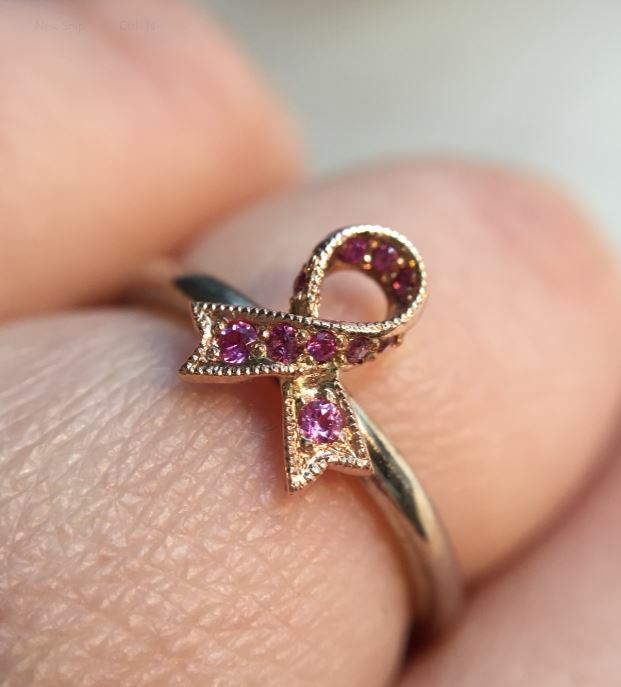 Breast cancer touches so many lives, and I wanted to create a beautiful symbol of the strength that my mother embodied.